Fairhomes is a highly-experienced, international property marketing and development group. We have more than 20 years’ experience in buying and identifying “distressed” assets and turning them into amazing developments. We have acquired and developed hundreds of properties in the UK, Germany, Gibraltar, Asia and now Florida. We continuing to expand and develop Ocean Village Marina Resort in Gibraltar which includes 315 private residences (with another 241 under construction), a luxury Superyacht hotel, two casinos, a health centre, gymnasiums, restaurants, bars and nightclubs. With this experience we are able to seek out “bulk purchase” build-ready land direct from the banks and bulk sellers and identify these to a wider audience. We are making these properties available to people who would otherwise be locked out of the market. UK: A mixed portfolio of 81 commercial offices, residential and retail properties across key areas of London and South-East England, which return an above average yield of around 16% on their acquisition cost. Properties average an occupancy level of 95%. Gibraltar: A diverse portfolio of prime properties, consisting of around 37,000 sq.ft of waterfront commercial office space, over 35,000 sq.ft of waterfront leisure space, 6,500 sq.ft of marina facing retail space, 323 marina berths, and an underground and under-sea level car parking development. Fairhomes also have a number of prestigious development projects under way in Gibraltar, with a gross development value of circa €192m. USA: This is currently our main area of activity. Fairhomes have an expanding portfolio, featuring multiple SFH (Single Family Homes), part-built and built resorts, ‘Build-Ready’ land lots and commercial premises. Income from sales and yields are being re-invested to further develop our portfolio. Germany: Fairhomes own a mixed portfolio of 355 commercial, residential and retail properties acquired between 2005-2006, and they are now returning at an above average yield of 10.4%. The Netherlands: In the Netherlands we have a prime traditional property in the heart of Amsterdam which was once featured on the front cover of BA Highlife magazine, now being re-developed into prime luxury apartments. A signature property held in Amsterdam is the Singel 374, a 17th Century Merchant’s House that was acquired in 2001, and currently has a return on investment of over 20%. 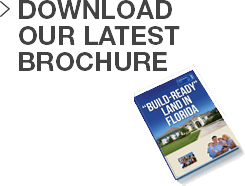 Fairhomes Land has identified and acquired large quantities of partially developed land plots across Florida, including some just a short drive from Disney, and has released them as highly attractive ‘Build-Ready’ plots for resale or for home builders. A particular focus has been on areas with good resales and rental potential including 'Build-Ready' plots near Orlando within a short drive to Disney World and other areas within the main development corridors and transport hubs. The World Trade Center is a World Trade Centers Association (WTCA) office complex to be located in Gibraltar. The WTCA approved the establishment of the WTC Gibraltar at the conclusion of its Annual General Assembly in Beijing, China, in October 2010. The 170,000 sq.ft., seven-storey WTC Gibraltar building will be constructed adjacent to Ocean Village. It Includes a business club with dining facilities, secretarial services, exhibition and display areas, virtual offices, hi-speed video conferencing and telecommunications, high-speed lifts, electronic security access and parking. A large commercial office complex in South Essen, one of the top ten largest cities in Germany with a reputation for economic power. An eco-commercial office and warehouse unit. Acquired for £2.2m, and now representing circa 66% of the construction cost. Constructed to a high environmental design and specification as per the neighbouring Gateway Development with careful consideration for future expansion and energy use. The site layout allows for expansion of the production space by 150% and the office space by 100%, both within the boundary of the existing site. The completed project consists of 36,671 sq.ft. of production area with ancillary office accommodation of 11,232 sq.ft. The Fairhomes Group has been using the current distressed sales opportunity to purchase large numbers of Single Family Homes (SFH) across Florida, for re-development and resale or to add to the rental portfolio. A mixed Marina development with 323 berths, refuelling, marina services, and 685 parking spaces, adjacent to the Leisure Island resort complex. A mixed development, comprising ground floor commercial offices, and luxury residential apartments above. Located in Marl, which is a busy developing town to the north of Dortmund. At the heart of the Ocean Village marina this mixed-use development comprises high-specification offices, Gala Casino, restaurants, bars, and clubs alongside a 323 berth marina and 685 parking spaces. A stunning residential development with 133 luxury private apartments, which was sold off-plan for £53 million. The development was completed in May 2007. The twelve townhouses of Lord Napier Mews exemplify the very best in conservation and redevelopment. These former officers quarters have been transformed into family friendly Mediterranean lifestyle houses, surrounded by lush landscaped gardens that enjoy spectacular views. A superb 16 storey development that consists of 56 luxury private apartments, with great views of the promenade and surrounding areas. This was sold off-plan for £16 million, and completed in October 2008. A stylish development, consisting of 113 luxury private apartments, ideally located just off the centre of Ocean Village. Sold off-plan for £38 million, and completed in October 2008. The Maltings is a re-development of an old derelict mill, which is now comprised of modern residential units, making up a combined value of over £5 million for the entire development. The Leisure Island Resort Complex features a range of restaurants, bars and office units, including KS Sothebys, Chesterton and Porcelanosa. A large retail unit development in the historic market town of Schwelm, West Germany. This development also has some stylish residential apartments on the upper floors.